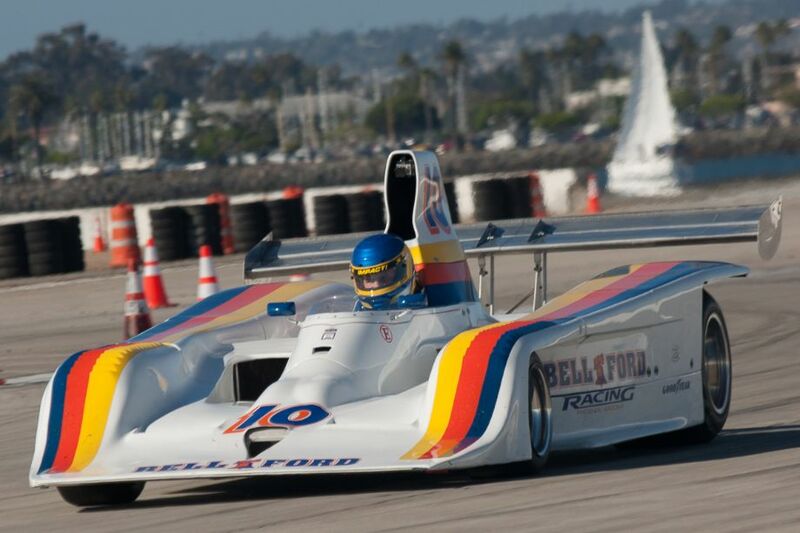 The Naval Air Station North Island in Coronado, California, played host once again to the thundering symphony of vintage race cars at the 2013 Coronado Speed Festival on September 21-22. Over 200 historic race cars participated in this year’s event, including several Porsche 911s in celebration of the car’s 50th anniversary. 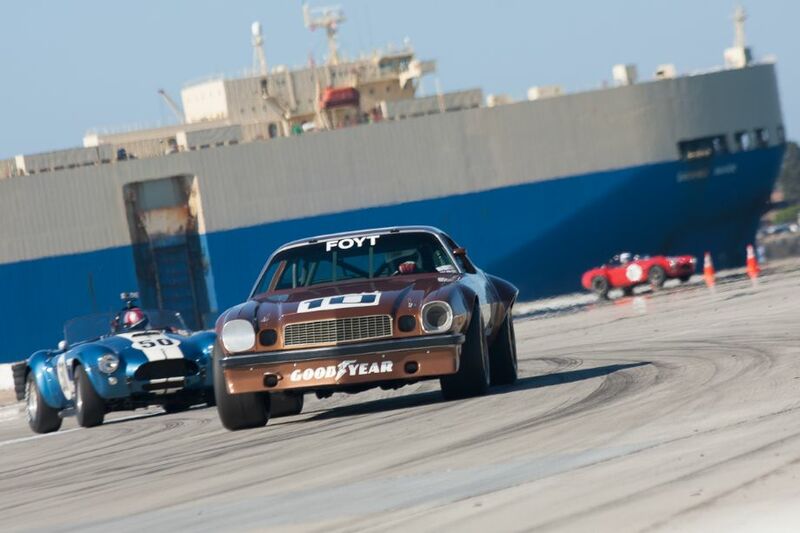 Entering its 16th year, the annual “Race at the Base” hosted vintage race cars from around the country on a temporary 1.7 mile course that is constructed each year on the Naval Air Station’s runways and taxiways. Race fans were treated to a weekend of vintage racing with the various race classes that participated, as well as an open paddock where the cars and drivers prepared for their time on the track. With the numerous vendors, food stands, car club corrals and several military vehicles and aircraft on display, car fans along with their families and friends, had a lot to see, eat and experience throughout the warm and sunny Southern California race weekend. 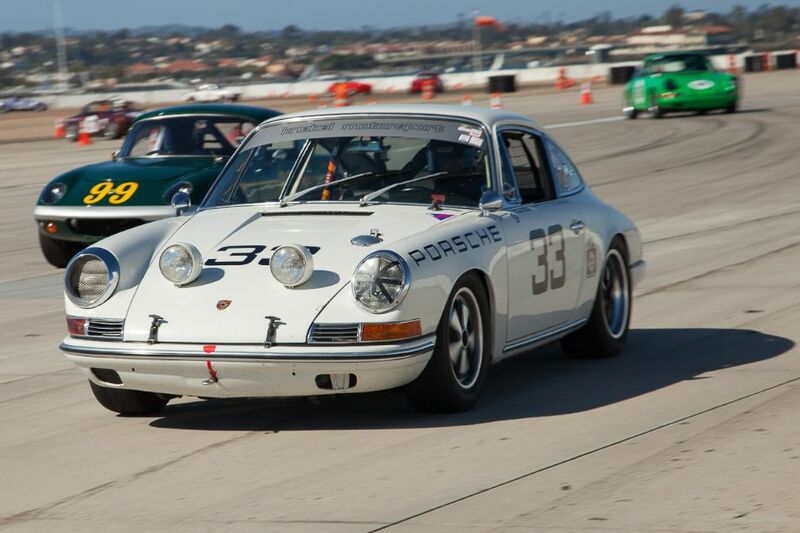 With this year marking the 50th anniversary of the iconic Porsche 911, the 2013 Coronado Speed Festival celebrated this milestone with a large contingent of 911s in the car corral as well as several 911s racing throughout the weekend. Among the 911s racing at Coronado were Jim Bouzaglou’s 1973 Porsche Carrera RSR, Erich Joiner’s 1972 Porsche Carrera RSR, Ed Matsuishi’s 1965 Porsche 911, Matt Parson’s 1969 Porsche 911, Erich Wilms’ 1967 Porsche 911S and Patrick Paternie’s 1968 Porsche 911. Other notable and interesting entrants at the Fleet Week event included John Goodman’s 1972 Ferrari 312P Sparling Special, 1958 Devin SS and 1964 Shelby Cobra, Alex Curtis’ 1955 Mercedes-Benz 300 SL Gullwing, Erich Joiner’s 1977 Chevron B36 and 1964 Shelby Cobra, Steve Thein’s 1967 Porsche 910, Wes Abendroth’s 1965 Fiberfab Special, Ned Spieker’s 1957 Maserati 200 Si, Bill Lyon’s 1960 Porsche RS 60, Al Arciero’s 1957 Lister Knobbly, Tom Malloy’s 1969 Lola T70, Steve Hilton’s 1968 Lola T70 Mk3, Robert Ryan’s 1968 McLaren M6B, Steve Schuler’s 1991 Roush Ford Mustang and Lance Smith’s 1968 Ford Torino. 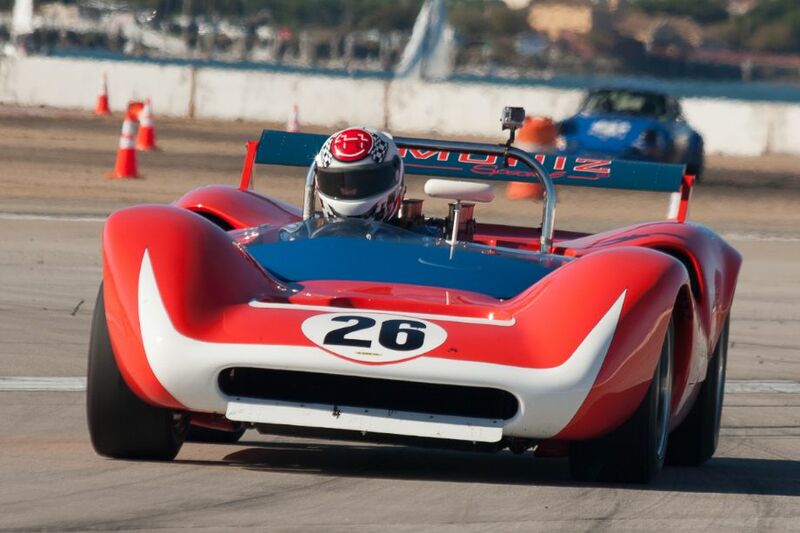 Racing great Tony Adamowicz served as Honorary Grand Marshal for this year’s Speed Festival. Highlights of Adamowicz’s career include winning the 1968 Trans-Am Championship in the Milestone Racing Porsche 911 and the 1969 Formula 5000 championship in his Gurney Eagle F5000. 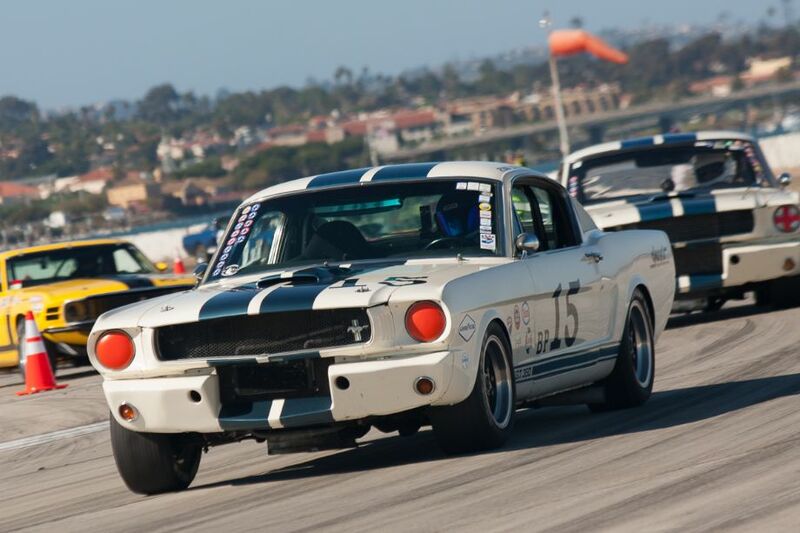 Victor Varela documented the 2013 Coronado Speed Festival. We split up Victor’s pictures into two galleries. The first gallery starting below features our favorite images, all displayed in the full-width view of Sports Car Digest, while the second gallery and race results can be found on the last page of the article and gives a comprehensive view of all the photographs. To see more from Victor, visit VictorVarela.com. Steve Hilton’s 1968 Lola T70 Mk3. Brent Berge and his 1978 Lola T133 during Sunday’s race. 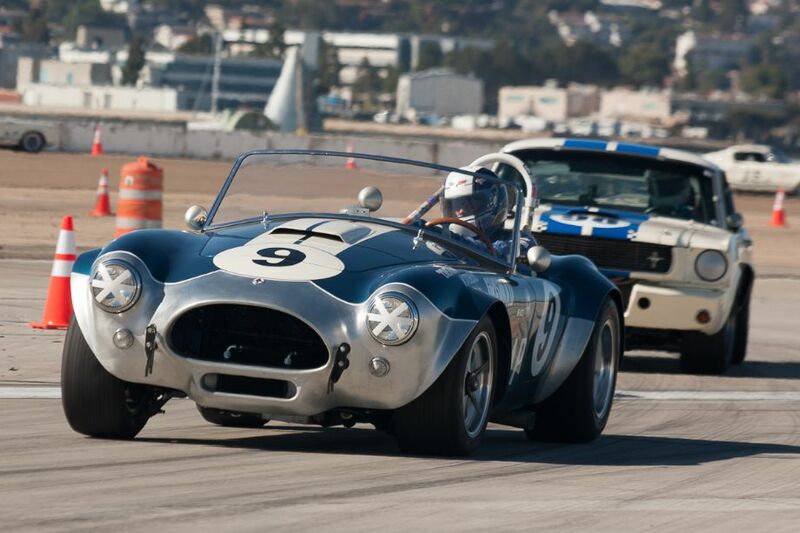 John Goodman holds off a Shelby GT350 in his 1964 Cobra. 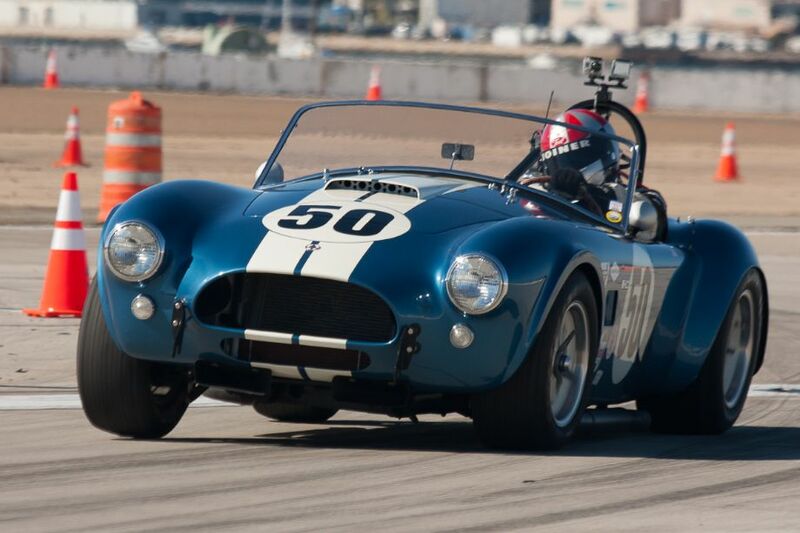 Erich Joiner exits turn nine in his 1964 Shelby Cobra. Bob Stockwell’s 1965 Ford Mustang. Leon Desimone in his 1974 Chevrolet Camaro IROC. Dean Watts in his 1964 Porsche 901 – just ahead of the #99 Lotus. 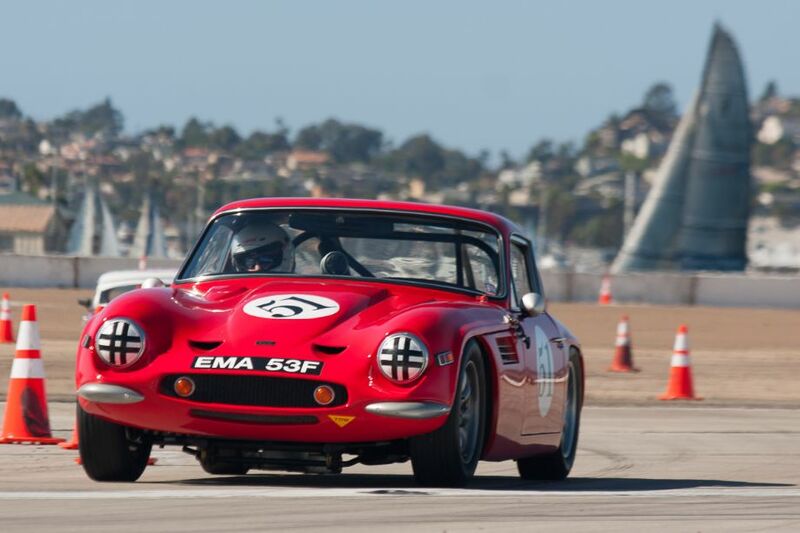 Rick Carlile and his 1969 TVR Vixen S2 during Sunday’s race. What can I say? A nice collection of images, sharp, dense color, well composed, and Vic used the back ground to enhance the cars. Coronado is not one of the more photographic race courses and Vic’s eye for composition really enhances the cars on track. I hope we can see more of Vic’s work. By the way, Vic is a graduate of the f8 Motorsports Photography Workshop and just so you know I am an instructor. http://www.f8photoworkshops.com. I know what I can say…thank you for the kind words, Dennis. I appreciate all the support, guidance and encouragement that you, Llew Kinst and Jeffrey Dahl have given me. My experience through the f8 Motorsports Photography Workshop was the catalyst I needed to pull all my years of experience in photography and my passion for cars and motorsports and really focus my skill and abilities to produce the quality of images that garner the positive comments you have given me here. What a great event and captured perfectly by Vic. There isn’t an other event in the world like the Speed Festival. In addition to all the great track action wonderful cars and spectacular weather you get to say “thank you” to all the men and women in uniform keeping us safe. From the Thursday car show down town to the awards on the largest ship in the Navy, USS Ragen this is one event you can’t miss. Thanks, Llew! I agree, this is a great event and a terrific way to say “thank you” to all those who serve our country! Nice job – Very good images shot on a track with a difficult background – I like the shot of #26 Corvette dragging the cone! Your time at the f8 Motorsports Photography workshop was well spent! Looking forward to seeing more of your work. Thank you, Bill. Coronado was a tough place to shoot because of the fact it was an airfield. One thing I have always done is to walk around as much as possible in order to get as many different perspectives when capturing an image. At a place like Coronado, this was a must! Thank you, Graham, for you kind words and comments. Thank you for taking a awesome picture of my 1969 Coors Light Corvette, You think its hard to take pictures….hahahaha try racing on that run way surface…its hard on tires and drivers, but what a great place on a active military base…. I race many other events and none of them compare to this great event that is sponsored on by HMSA…just awesome….great pictures keep up the great work. I agree, The HMSA puts on a great event in Coronado. Thanks for the compliment on the images! Well, Maybe not switch, But if i could i would give you a ride but no passengers seat…in this race car, Keep up the great work and we all look forward to seeing you next year, please stop by the pits and say hello…. No problem, David. I will definitely stop by and say hello next year!